In this file photo, Rei Kawakubo is shown after the Balenciaga show at Place Vendome on Jan. 18, 2017 in Paris, France. When it comes to Rei Kawakubo, expect the unexpected. The Costume Institute at the Metropolitan Museum of Art will dedicate its spring fashion exhibition to the 74-year-old creator of the label Comme des Garçon. It is only the second time in the museum’s history that an exhibition has been mounted to honor a living designer, the first being Yves Saint Laurent in 1973. The Japanese visionary behind the influential label is famously mysterious and tight-lipped. 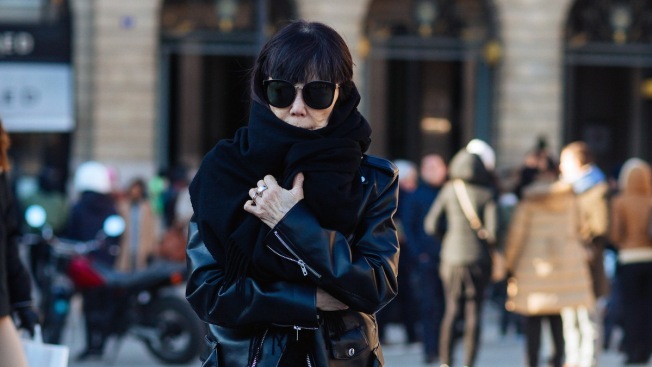 Kawakubo avoids being photographed and rarely gives interviews. She is not well known among the wider public, but that appears to be how Kawakubo likes it. Yet she has remained a silent powerful force in the fashion scene for decades. While the pieces Kawakubo shows on the runway are unconventional, favoring the avant-garde over wearability, many of the elements in her pieces have trickled down to the mainstream, such as unfinished hems, elaborate draping, and asymmetrical silhouettes. "Rei Kawakubo is one of the most important and influential designers of the past 40 years," Andre Bolton, curator of the Met's Costume Institute, said in a video profile. "By inviting us to rethink fashion as a site of constant creation, recreation and hybridity, she has defined the aesthetics of our time." Bolton has been tasked with illustrating Kawakubo’s influence and work in context for a mass audience in “Rei Kawakubo/Comme des Garçon: Art of the In-Between.” The exhibit will run from May 4 through Sept. 4. Kawakubo never trained to be a fashion designer. She studied art and literature at Tokyo's Keio University and got her start in fashion working in marketing at a textile factory. She credits that lack of a formal fashion education for giving her the freedom to explore with her pieces and sidestep any preconceived notions about how clothes should be made. Kawakubo first began making clothing when she worked as a stylist and couldn’t find the types of garments she wanted. She started designing clothes in 1969 under the label Comme des Garçons, which is French for “like boys.” The name was lifted from the French song “Tous les garçons et les filles” by Francoise Hardy. Comme de Garçon was an instant hit in Japan. Often ignoring the regularities of human form in her designs, Kawakubo uses material abundantly, inflating the garments to surreal proportions. Famous for her four-armed jackets or added lumps and bumps, as seen in the 1997 Quasimodo-esque collection “Dress Meets Body, Body Meets Dress,” Kawakubo has constantly challenged preconceived ideas of how women should dress. 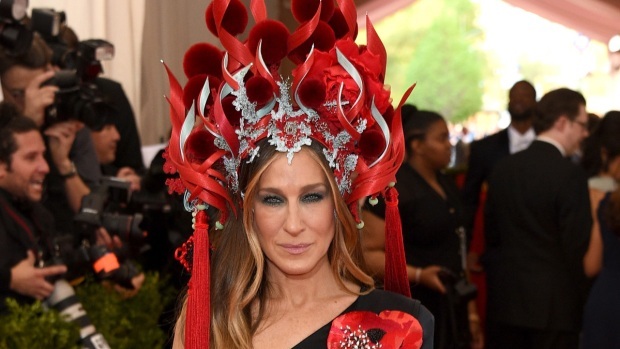 If Comme de Garçons collections are any indication, Monday night’s Met Gala red carpet will surely be interesting. Karl Lagerfeld, Nicolas Ghesquière, creative director of Louis Vuitton, Céline creative director Phoebe Philo and Marc Jacobs, have all listed Kawakubo as an influence in their designs. Without Kawakubo, there may not have been a Miu Miu cut-off sunglasses trend. She even influenced how labels reached consumers. Throughout the 2000s, Comme des Garçons came to be known for their “guerrilla” stores, as fashionistas called them, kicking off a major pop-up shop trend that's still popular today. Today Kawakubo and her husband Adrian Joffe preside over a multimillion-dollar privately held company with both commercial and fashion-forward lines for men and women, a perfume license with Puig and a collaboration with Converse. Comme de Garçon's sister brand CDG Play, launched in 2002, became an instant streetwear success thanks to its signature logo of a pre-emoji heart with eyes. CDG Play pieces have been spotted on the backs of high-profile celebrities. Kanye West, A$AP Rocky, Drake and Pharrell, a co-chair of this year's Costume Institute Gala, are all fans of the label. Despite being a famously conceptual designer, Kawakubo has reportedly never been invited to a Met Gala, her husband told The New York Times in an interview in 2013. It was not immediately clear if she had been invited in the years after the interview. Monday night’s fête will be her first appearance (and could be her last).